How high are realtors´ and lawyers´ fees in Bahrain? What about other property purchase costs? How difficult is the property purchase process in Bahrain? Recent legislation in Bahrain now allows genuine real estate ownership by foreigners. Legislative Decree No 40 of 1999 allows ownership of Bahraini land by Gulf Country Council national (Saudi Arabia, Oman, Kuwait, UAE and Qatar). Legislative Decree No 2 of 2001 states that non-Bahrainis, whether natural or corporate persons, may own land in Bahrain. This law encompasses all non-Bahrainis, GCC national or otherwise. This was fully authorized in 2003. Land is also available for lease from the Government. Non-GCC expatriates can secure a permanent resident permit allowing them to own real estate property, but the permit is terminated in the event of sale of the property. Recently, however, there is a bill approved by the Chamber of Deputies banning foreign nationals from acquiring land of more than 5,000 square meters (sq. 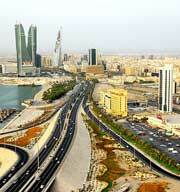 m) in Bahrain, to control rising property prices. The Shura Council is yet to approve the bill. It is advisable to hire the services of a lawyer during the whole process of buying. The prospective buyer may hire the services of a real estate agent to look for properties in Bahrain. The buyer or his agent must contact the seller once he finds a property he wants to purchase. After negotiation, the buyer will sign a reservation agreement where the seller agrees not to sell the property to anyone else. Once the buyer signs a sales agreement with the seller, he will need to make a down payment. The payment scheme and schedule of the remaining payments should be established in the sales agreement. The seller hands over the title deed once the property is fully paid. The sales agreement must be notarized at the legislation court, which is generally processed in one business day. Notarization fee is around BHD15 (US$40) for four notarised copies of the sales agreement. Register the property under the buyer´s name with Bahrain´s Survey and Land Registration Bureau. To register the property, you will need to provide proper identification, the sales agreement, and the previous property owner´s title deed. The buyer or new owner is liable to pay the registration fees. If the property is registered within 60 days of execution of the sales agreement, the buyer is entitled to a 10% discount on the registration fees. Property registration takes around 31 days. The United Arab Emirates uses UAE Dirham (AED) . The exchange rate as of 09 Nov 2007: US$1 = AED 3.67270. Property value is US$250,000 approximately AED 918,000 (918,175). Issuance of Title Deed by the Land Department costs AED250 (US$68). For issuance of title deed through establishment of ownership of land for which no title deed was issued before, the cost is AED5,000 (US$1,361). Registration fees are levied at progressive rates, from 1.5% to 3%. If the property is registered within 60 days of execution of the sales agreement, the buyer is entitled to a 10% discount on the registration fees. The applicable rates lower, from 1.35% to 2.70%. The real estate agent´s fee ranges from 1% to 5% of purchase price, depending on the type of property and the overall purchase price. How landlord-friendly is the law in Bahrain?